Please find below links to our recent press releases. Members from the Rotary Clubs of Church & Oswaldtwistle, Ribblesdale and Clitheroe Rotary 2, enjoyed an afternoon of canoe fun at Waddow Hall recently. 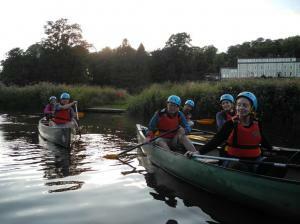 Several members took to the water for a bit of sports and action!